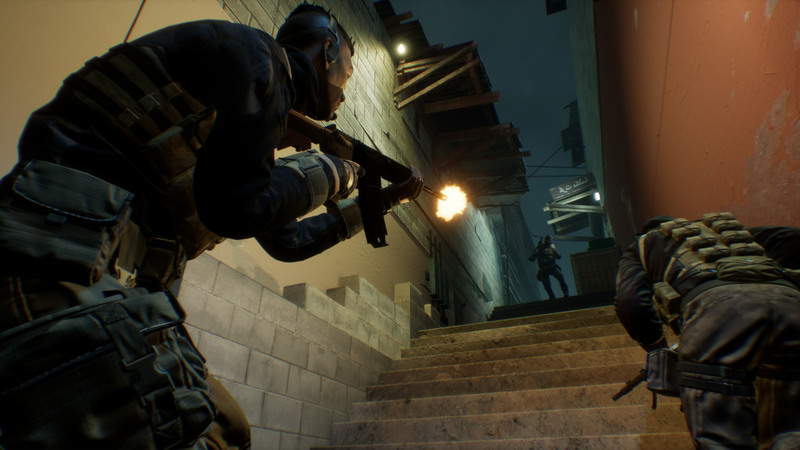 Firewall Zero Hour is a 4v4 team based tactical shooter from First Contact Entertainment, that was built from the ground up for PSVR. It arrives on August 29th and will be available on the Playstation Store and as a physical release. Players will assume the role of mercenary contractors tasked with either defending or attacking sensitive data stored across the globe. There will be 9 map locations in Russia, the UK and the Middle East. Matches are 4v4, humans against humans, or try out the training modes with friends or alone against AI. Firewall Zero Hour supports both the Dual Shock 4 and PS Aim Controller ( a bundle that includes the Aim Controller will be available ). An internet connection is required for all modes, including the single player training mode and PS Plus is required for the multiplayer training and multiplayer contract modes. Preordering also nets you a contractor named ‘Texas’ Sarah Wells with a unique skill that allows her to take less bullet damage. All cosmetic items can be applied across all contractors. In this video Texas is wearing all the exclusive items in the preorder pack. Will you zero in on Firewall Zero Hour on August 29th?